(AP) NEW YORK - Coca-Cola Co. (KO) plans to invest an additional $3 billion in India through 2020 as it looks to capitalize on the growing market. The world's biggest beverage maker, whose brands include Minute Maid and its namesake, has seen some of its biggest gains come from emerging markets like China and India. In April, Coca-Cola reported strong first-quarter volume growth in emerging markets. In the region encompassing Russia, India, the Middle East and Africa, volume grew 9 percent, compared with a 2 percent increase in North America. Including the new cash infusion, Coca-Cola said Tuesday that it now plans to invest $5 billion in India from 2012 to 2020. It has already invested more than $2 billion since re-entering the country in 1993. "Our India business has been growing at a robust rate over the last five years, and our goal is to continue this momentum," Atul Singh, president and CEO of Coca-Cola India and Southwest Asia, said in a statement. The Atlanta company said that its Thums Up and Sprite are the top selling soft drink brands in India. The country's biggest-selling juice beverage is Coca-Cola's Maaza. Chairman and CEO Muhtar Kent said that the company's growth in India is part of its plan to double revenue over this decade. "Our ongoing investment in India is focused on delivering innovation, partnerships and a portfolio that enhances the consumer experience, ensures product affordability and builds brand loyalty to deliver long-term growth," he said. Coca-Cola and its bottling partners are investing more than $30 million globally over the next five years - including new manufacturing plants, new distribution systems and new marketing in emerging markets - to support expected growth. 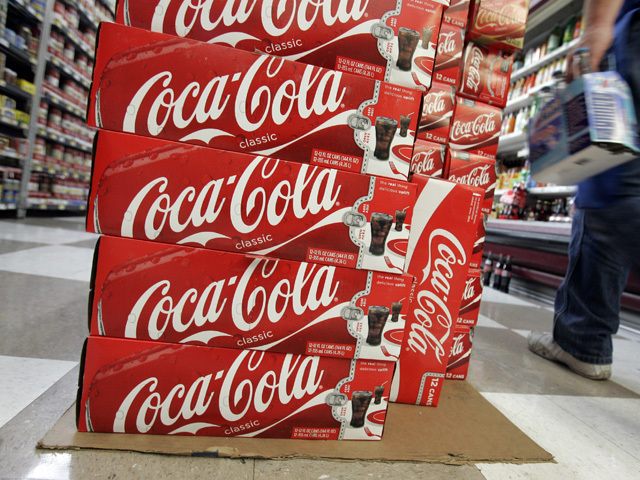 Coca-Cola is also seeking its first stock split in 16 years. The company wants a 2-for-1 stock split. The move is subject to approval by shareholders on July 10. Its shares finished at $74.77 on Monday. They are trading near the high end of their 52-week range of $63.34 to $77.82.